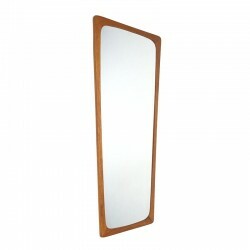 Teak vintage Danish mirror from the sixties. The mirror has a nice design, on the top the mirror is wider than the bottom. 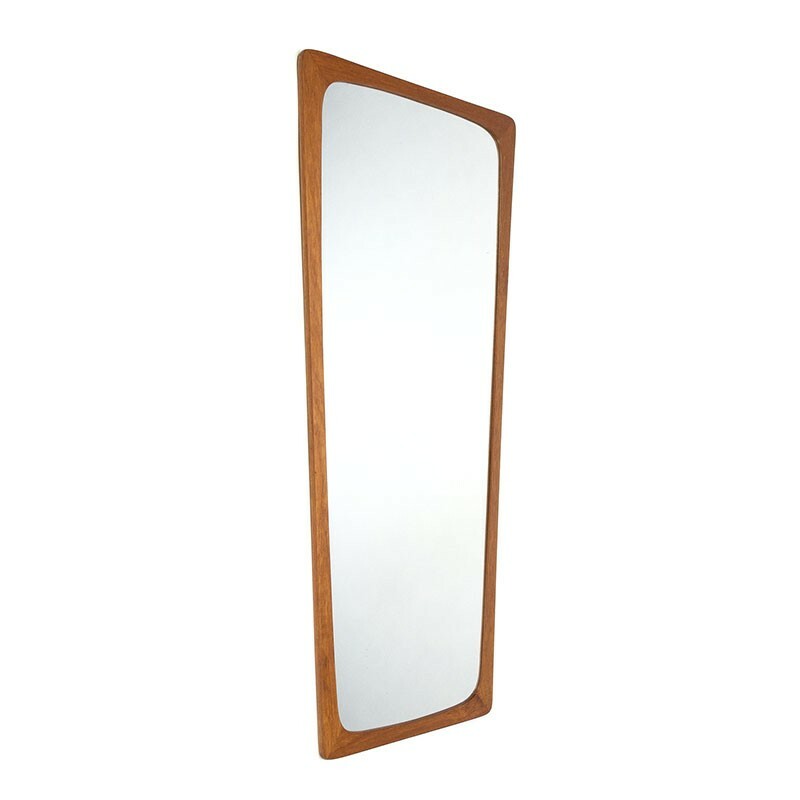 The condition is good, minimal traces of use, see details. The dimensions are 44 cm wide and 94 cm high.